WKSU News: Will Northeast Ohio house a key piece of the U.S. missile defense shield? 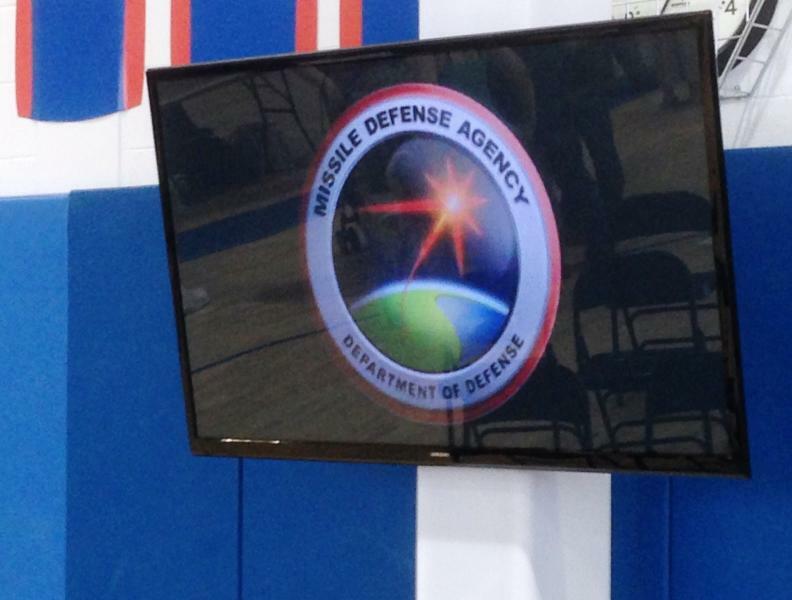 Will Northeast Ohio house a key piece of the U.S. missile defense shield? Two bases are now set up for ground missiles -- both out west. Ravenna is in the running to be third. In about 18 months, people in Portage County are likely to find out if an old World War II arsenal will become the third site in the nation to house interceptor missiles – the ground-based weapons designed to track and blow intercontinental ballistic missiles out of space. It’s a decision resting on everything from billion-dollar budgets to divining the intentions of North Korea. But as WKSU’s M.L. Schultze reports, part of the decision-making played out last night with a small-town feel: an open house hosted by a local high school. 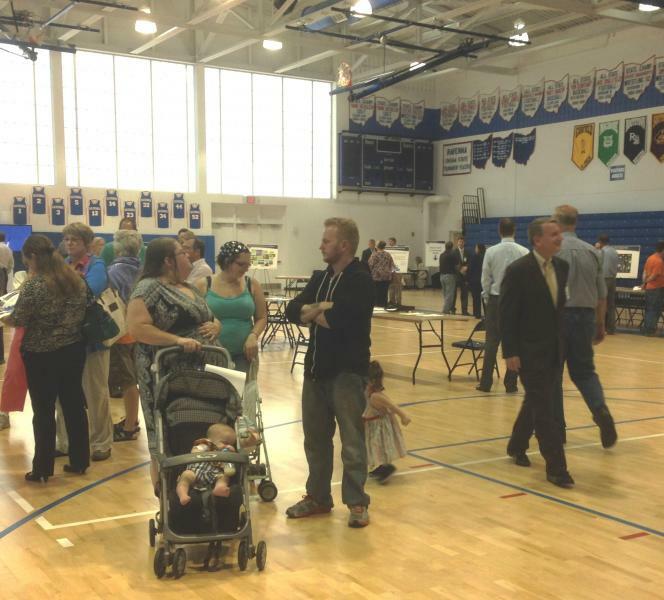 At first glance, the Ravenna High School gym looks like it’s done up for a science fair. But mixed in with the tables and easels, maps and charts are lieutenant colonels in full uniform, and videos with messages that are both ominous and optimistic. 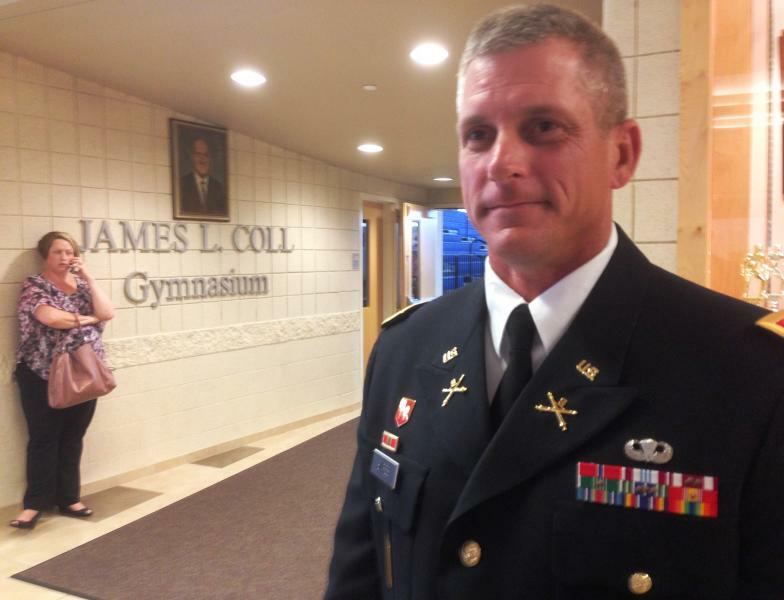 Lt. Col. Dan Martin is here to field some of those questions. “We want to intercept any of those threats in outerspace in the Exo-atmosphere,” he explains to a man questioning the number of ICBMs in existence. This same scene will be playing out over the next few weeks at Fort Custer in Michigan, Fort Drum in New York and something called the Kittery Survival, Evasion, Resistance and Escape Facility in Maine. Each is being considered by the Missile Defense Agency to become a Continental United states Interceptor Site – joining the two existing sites on the West Coast. Lt. Col. Chris Snipes is the program manager for the ConUS interceptor site for the Missile Defense Agency. Part of his job is trying to figure out what a site would do in each of those communities. And that means environmental studies. But there’s a lot more: What the project would do to groundwater, terrain, air – on the base and well beyond. Would the base paint a target on Northeast Ohio? But many of the public’s questions and concerns are about the concept, not the details. 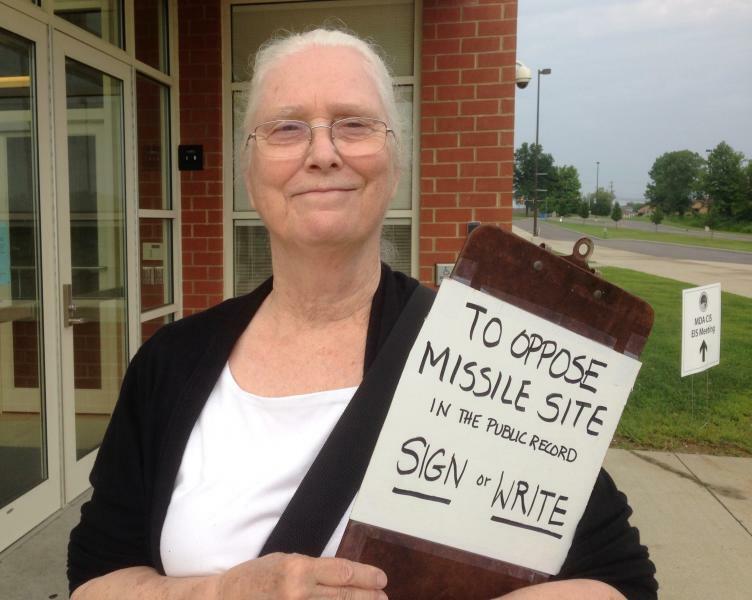 The biggest one has to do with – as Mary Greer, armed with an anti-missile clipboard puts it – making Portage County a target in a hostile world. Snipes says he heard that concern repeatedly. His response? Only in case of national emergency? Back at his table, Lt. Col. Martin says the interceptor system is crucial to security well beyond Ravenna. So has anyone ever been used? Dan Fejes says those answers aren’t the ones he needs. But others, including Ravenna Councilwoman Sharon Spencer, remain ambivalent. Snipes insists no decision has been made, saying there’s even a possibility the entire project could be mothballed if none of the sites work out. If Ravenna is chosen, the 21st Century system, would be installed at what’s now an Ohio National Guard base – but which most people around here still call the Ravenna arsenal – a place where 14,000 people worked in World War II and which last turned out weapons in the Vietnam War.